And the reason why we need to make more videos is because Baby Lock accepted to loan me this beautiful Tiara 2!!!! In other news, Wolfgang 2, (the quilt I designed and made for Elaine of Northcott and quilted by Marilyn Farquhar.) was at "Quilt at the creek" exposition. Love it when I know people can enjoy my art. Awesome looking machine! I hope you like it. I am in the market for one, so I’ll be interested in what you think. I love my Bernina and love the Bernina model but not the price - so am considering other makes. No room for a longarm but a table model with longer throat may work! Fun little video. 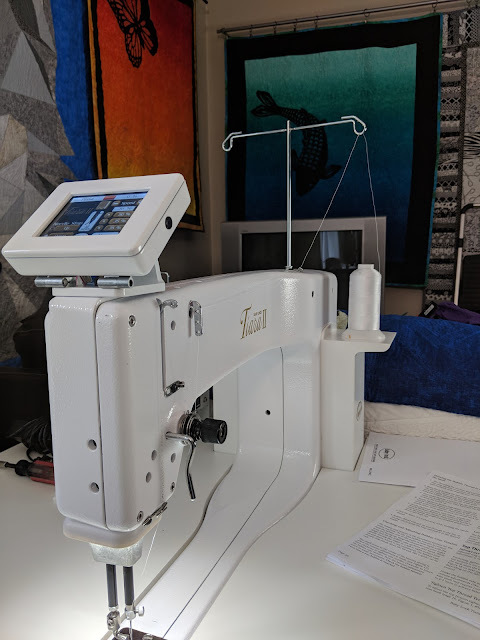 Exciting news with the machine. So happy for you. 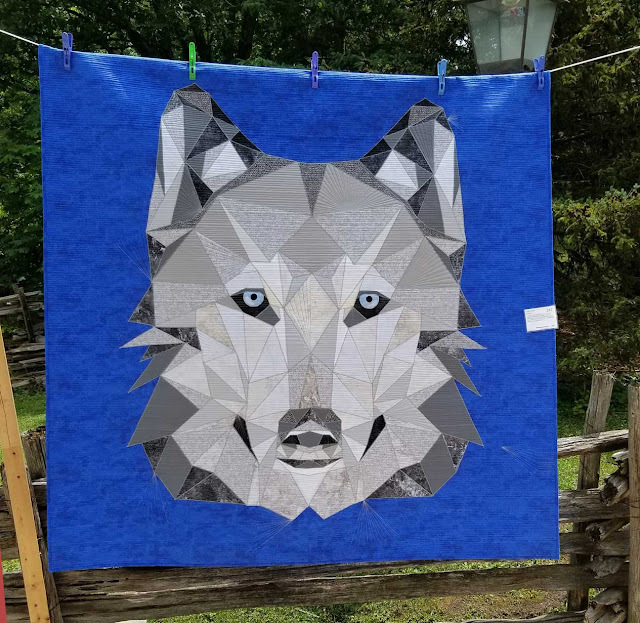 Your wolf quilt is amazing! Thanks for sharing with Moving it forward. I have the Tiara 3 and love it! I'm not sure what the difference is, from what I see it looks the same. I love your wolf quilt, beautiful! Have fun quilting!!!! Enjoy your new machine Yanicka! I have the Handi Quilter version and love it. :) Your wolf quilt is stunningly beautiful!